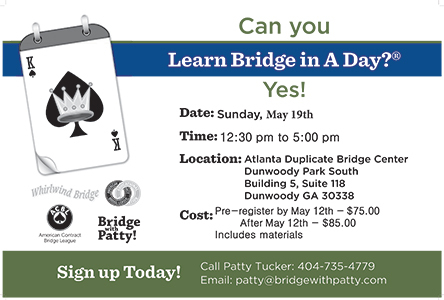 Master bridge with Patty Tucker’s fun, informative, quick-learn personal instruction. Whether you are brand new to bridge or played ages ago and need a refresher this is the class for you! The T.A.T.E. Convention is nearing completion. Kevin and I have created a new bridge convention called TATE. 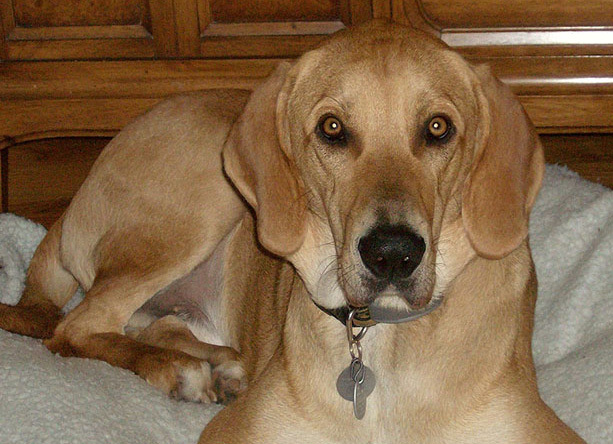 Help us pick a photo for the dedication page! It will be used in a specific 2/1 Game Forcing bridge auction to clarify a second bid. Attention Bridge in A Box Owners! For your convenience, we have moved the tutorials and App access to one location. Go to Great Game Products for complete instructions to download your materials. **Have the access code from the yellow card located in your game box at hand. Learn the basics of bridge or improve your game! 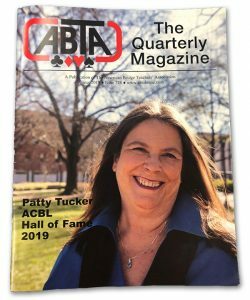 Learn how to play bridge, or polish your bidding knowledge, with Patty Tucker’s acclaimed bridge guides, bidding mats and instructional books. Patty teaches the game of bridge and its conventions in a logical way. When you finish her class, you’ll understand the “why” behind each bridge lesson. Every class begins with a lesson; then several practice hands are played duplicate style; with groups of four students bidding and playing the hands to reinforce the concepts Patty presented that day. One big benefit of learning and playing bridge is that the game exercises your brain. 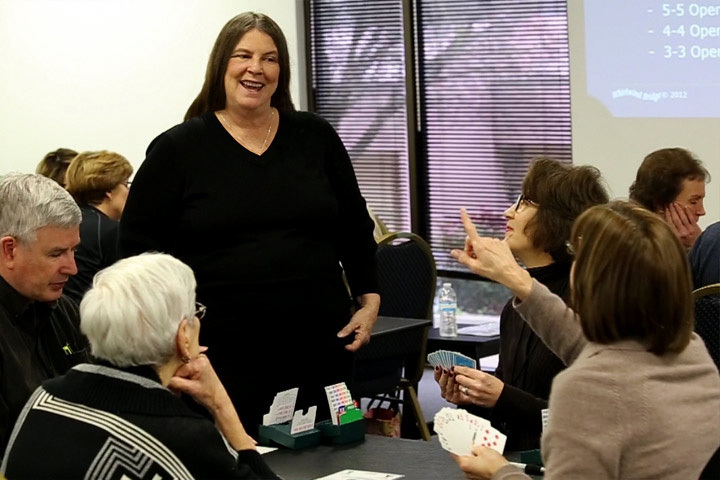 Besides being fun, you’ll see playing bridge helps with your memory, plus it helps in developing new planning, and strategy skills. We find bridge players see these benefits translate well in life! 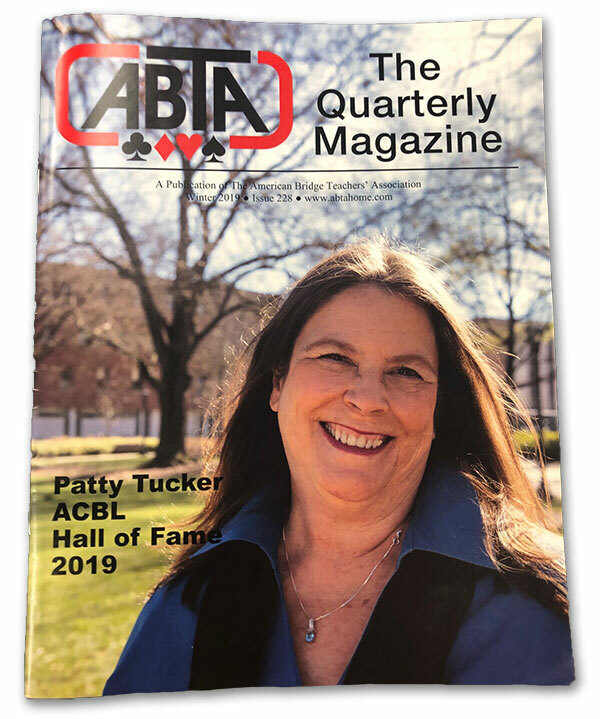 ABTA – The Quarterly Magazine – The publication of the American Bridge Teacher’s Association recognizes Patty Tucker’s induction into the ACBL Hall of Fame 2019. Congratulations Patty! Patty is a wonderful teacher. I have enjoyed meeting people in her classes. My favorite class is a Review of Beginning Bridge. Patty was recently inducted into the Bridge Hall of Fame…what more can I say. She’s amazing! 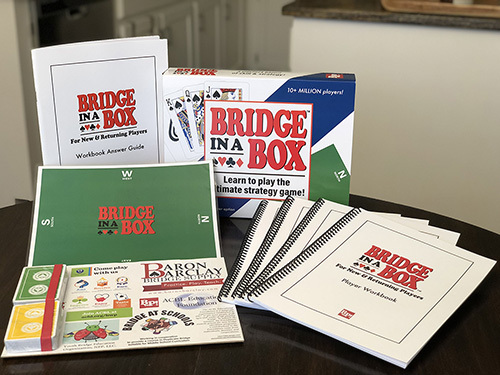 Ready to learn bridge or master your game – and have fun while you’re learning? 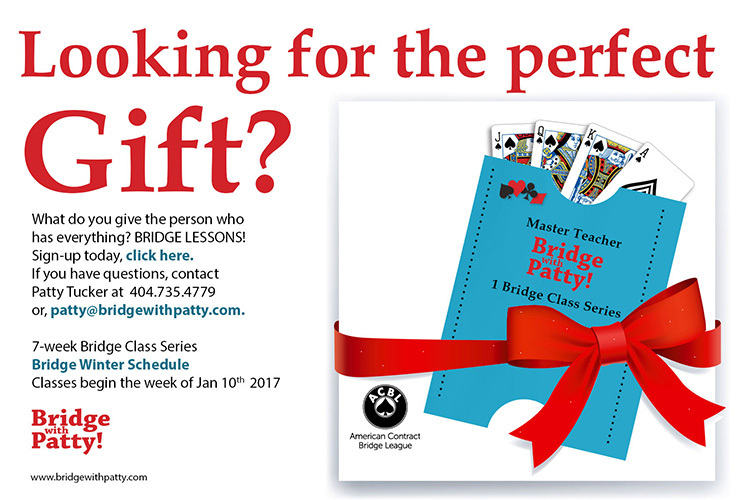 Shop Patty’s collection of bridge instruction books and bidding mats with topics ranging from beginning bidding to expert techniques. 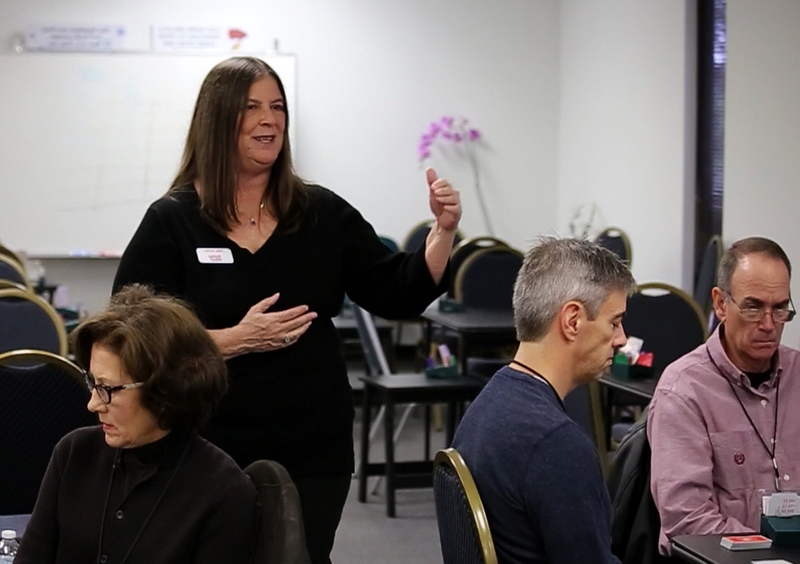 View Patty’s calendar of seminars, classes and workshops to learn bridge in a fun, educational setting – and meet some new friends. See ‘What Would Patty Do?” – a hand-by-hand guide to learning bridge bidding and hands, with real-time examples and Patty’s expert advice. Or subscribe to our newsletter to stay up to date with the latest from Bridge with Patty.